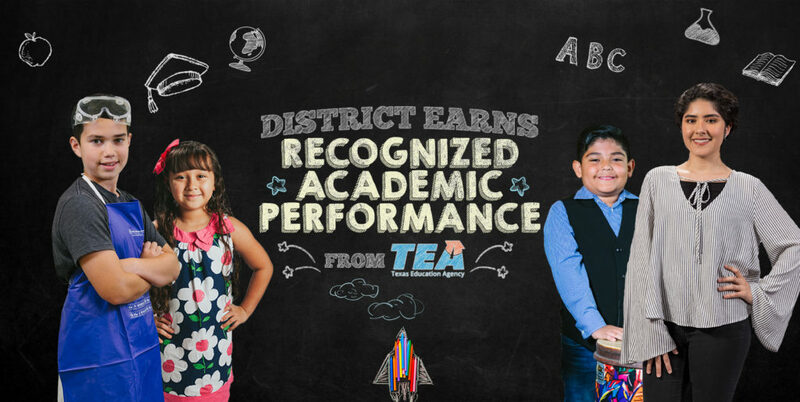 The Texas Education Agency (TEA) accountability ratings released Wednesday, August 15, show that HCISD earned Recognized Academic Performance, and for the first time since the inception of the STAAR program, it received the Postsecondary Readiness Distinction. Overall the district earned 101 distinction designations under the new A–F rating system. While district ratings are based on an A–F scale, the 2018 rating labels for individual campuses continued under the Met Standard, Met Alternative Standard or Improvement Required labels. The A–F rating labels will be applied to campuses at the end of the upcoming school year. Campuses that receive an accountability rating of Met Standard are eligible to earn distinction designations. The number of potential distinctions varies by campus. Harlingen School of Health Professions earned all seven possible distinctions at the secondary level, while Bowie, Dishman, Lee Means, and Travis Elementary earned all six possible distinctions at the elementary level. Out of the 27 eligible HCISD schools, 25 received one or more distinctions in the following areas: English Language Arts/Reading, Mathematics, Science, and Social Studies; Student Progress and Closing Performance Gaps in the top 25 percentiles; and Postsecondary Readiness.